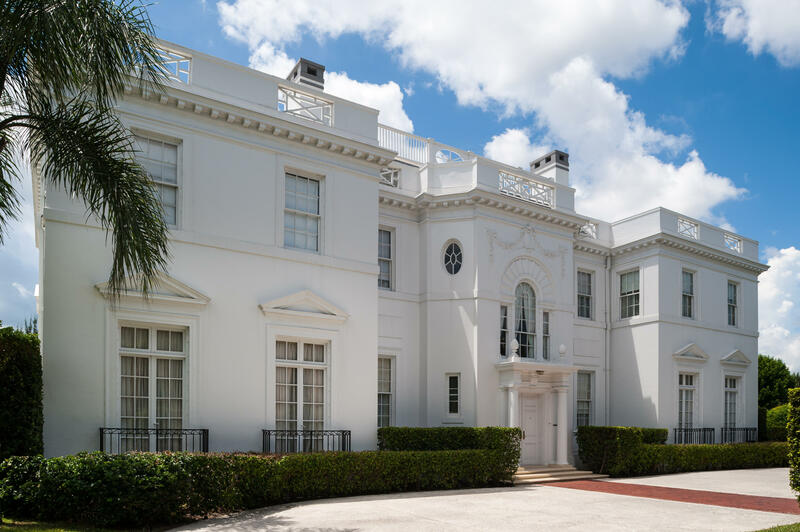 First time on the market in 50 years, The First Winter White House, Southways, built in 1920, is a Beaux Arts mansion set on 1.3 acres, located in the desirable center of town in Palm Beach, just one house from the ocean. The home is centered on its three lots, providing the ultimate in privacy. Subdivision of one of its lots is possible. The house has a high elevation (no flooding and makes renovation, if desired, easier). The interior is very bright with large rooms and a great floor plan. Enjoy high ceilings (overall cubic feet/volume) that can't be built today. Visit website at www.southways.info for further description, specs, floor plan, survey and to view the gallery of photos.